Join us on Easter Sunday, April 21, as we celebrate our risen Savior, Jesus Christ! 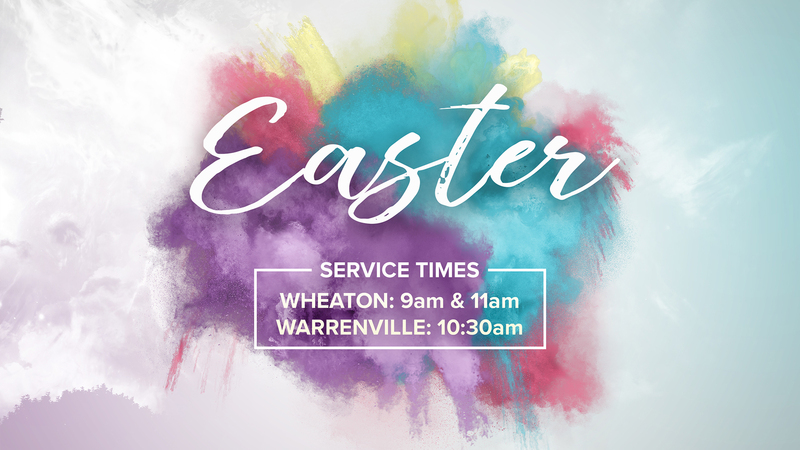 9am & 11am services @ Wheaton 10:30am service @ Warrenville At the Wheaton campus, we will also be celebrating the baptisms of several members of our Wellspring family. Childcare during service will be available at both campuses for young children (birth through pre-K).